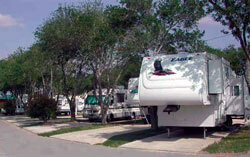 When you take delivery of your New RV at Crestview, you will get one FREE night in our campground. This creates a greater comfort level between you and your new rig. And if for any reason you have questions or encounter any problems, we will be right there to help you out. That way when you hit the road you will be ready to roll. Call us at (888) 242-8070 to learn more and take delivery of your new RV with confidence!